Register Log In A Gardeners Forum Forums The Banter Hall Thank you Junie! I went to the mail today and was quite surprised to see a package from Junie. Inside was a cute note along with some stickers for GG...and to top it all off, she sent me the rattlesnake bean seeds I was searching for everywhere. There were also tomato seeds. Carol, you are too kind...I am beyond thrilled. There are enough seeds for me to plant for two years. I'll be able to harvest them for future years as well. I tried everywhere...and was quite disappointed that the seed places would not ship to Canada. How wonderful. I am happy for you both! Thanks Tina....getting those seeds mean a lot to me. Don't ya just love surprises. Are rattlesnake beans the same as pinto beans? 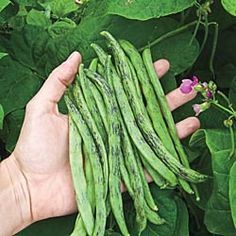 Nope, these beans are cooked to be eaten as a pod before the beans inside grow to any size. Thanks. Never heard of them but would like to taste some. Do you eat these green or dry them, Sunny. I hope you get a bumper crop. Sunny, you are very much welcomed. I found them, and it made me smile to think of sending them to you, so I did. THEN, I know how little ones are when they see any kind of mail or packages, so of course I sent her something as well. SO glad to make you both happy !!! (DH will be too when he gets to eat the beans..
You mean I have to share with DH? I eat them as pods, cooked until tender and drizzled with butter. I will let a few ripen and dry out for seeds though. Lesson learned. You are really good friends. Thank you, Philip*. I like to think we are.